It is funny, isn't it? It doesn't seem that long ago that Brooks Orpik was on top of his game. He was arguably the Penguins most consistent defenseman. He was their most physical defenseman. If coaches needed a shutdown pairing, Brooks Orpik was half of their tandem. It has only been a couple of years, but that has been plenty long enough for Orpik to lose a step or two and to fall out of the fans' good graces. So when the Penguins signed him later that offseason to a 6-year deal and a $3.75 million cap hit, it seemed like a steal. Orpik was still a major contributor for the next few years and often on the top defensive pairing. He even represented Team USA well in Vancouver in 2010, but when things go south toward the end of a player's career, it usually happens very quickly. Orpik was noticeably slower last season. Many wrote it off to playing with Letang or a lockout-shortened season, but this season has reinforced all of those issues and more. In fact, it has been a nightmarish season for Orpik. Can any of us possibly forget what happened in December? After a fairly good start to the season and good start to this particular game against the Bruins, Orpik was met by Shawn Thornton in the form of multiple cheap shots to the head, even after he was unconscious. Orpik only missed 8 games, but it never seemed like he was the same since that point. After a steady and fairly productive Sochi showing for Team USA, many hoped Orpik could carry that confidence back to the Penguins for the rest of the season. No such luck, however. His play since the Olympic break has been abysmal, to put it nicely. Much of a defenseman's success relates directly to who his playing partner is throughout the season. At 33, this has certainly been part of Orpik's problem this year. He has been playing with a revolving door of defensive partners. For a while, he played with Kris Letang. Letang was obviously plagued with injuries and health problems for much of the season. 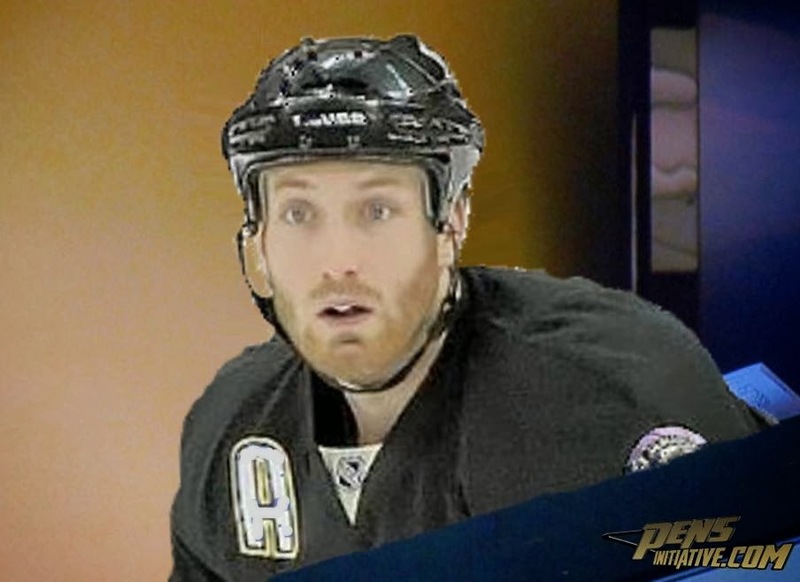 Orpik has looked his best with Paul Martin. Almost like Jekyl and Hyde, when Orpik is paired with Paul Martin, he looks much better and much more comfortable. I attribute this to Paul Martin being a strong puck-moving defenseman who is rarely out of his proper position. This allows Orpik to stay closer to the net and take the man directly in front of the goaltender, but Paul Martin has unfortunately had the injury bug as well. Maybe for some of those same reasons Dan Bylsma has decided to pair Orpik with Olli Maatta as of late. Maatta, along with Matt Niskanen, have been the most consistent Penguins defensemen this year. That being said, it is not fair to put Maatta with Orpik at this point. If anything, this is ultimately going to cause Maatta to lose confidence and gain bad habits because he is often having to try to cover for Orpik. The image above shows Matt Niskanen, arguably the most consistent Pens' defenseman, versus Brooks Orpik. First things first, taking a look at TOI, time on ice, Niskanen is averaging almost four minutes more per game than Orpik even though Orpik is technically on the "top" defensive unit. Moving on to CF%, which is the Corsi for divided by the Corsi against for any given game. Corsi is a measure of any shot attempted (missed, blocked, or on net) that the team directs toward an opponent's net while that player is on the ice. A shot for is a +, while a shot against is a -. Corsi is widely accepted as a good tool to measure the productivity of a player for a team over the use of +/-. With all the being said, take a look at Orpik compared to Niskanen. If 50% is used as a good guideline, meaning anything above that a player is on the ice for more of a benefit than a deterrent, it is ugly for Orpik. He has had no games over 50% since the Olympic break, and only two over 50% in his last 10 games. Niskanen has had 9 of his last 10 games over 50%, with two games over 60%. Sometimes armchair coaches and GMs think they see poor play and have all of the answers, but when people who cover the Penguins say some of the same things, I think it has a bit more weight. What does all of this mean? 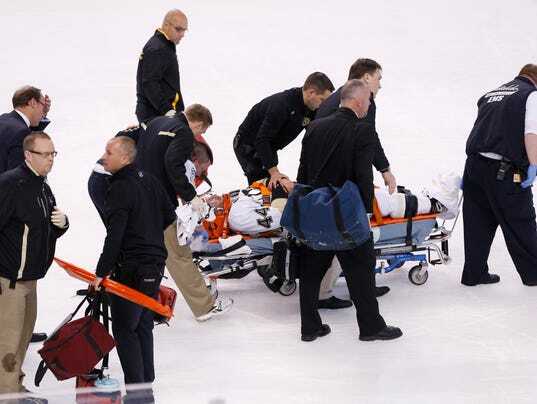 In my view, it is time to take the kid gloves off when dealing with Brooks Orpik. He seems like a great guy, and yes he is an alternate captain, but he is becoming a detriment to the team. One that will be hard to overcome if the Pens want to make a deep playoff run. Even with the injuries at defense, I would rather see Deryk Engelland, Brian Dumoulin, or even Philip Samuelsson get more playing time. When Paul Martin returns, there is absolutely no excuse to play Brooks Orpik anymore. He is in the last year of his contract, and it is time to cut ties. He is 33 years old, slow, and out of position frequently. Some people will say, "but he's a good leader...", while this may be the case, I am of the mindset that the best 19 players should play each and every night. No one is owed anything. If Bylsma and the Pens are serious about making a statement in the playoffs, they should give playing time to those most deserving. The first step should be moving Brooks Orpik to the press box and giving some of the young guys a chance to succeed.